In part 1 we looked at the shocking scale of food waste, the environmental problems it creates and some of the challenges in overcoming it. In part 2 we’ll look at some of the ways businesses and schools can reduce food waste and keep it out of landfill. 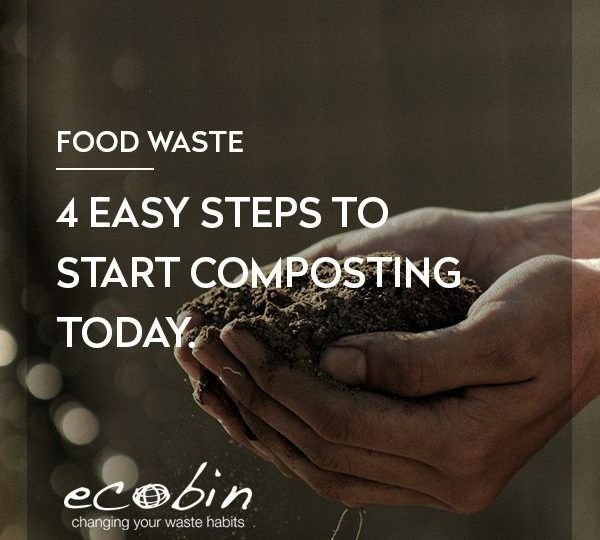 Equally important – when we do end up throwing food out, we should aim to make sure it’s composted rather than sent to landfill. For any workplace or school, food waste reduction is an exercise that’s going require wholehearted participation of everyone that serves or eats on your premises. In the case of schools it’s also going to require parental support. A vital step then, is raising awareness of the issue. Every staff member, student and customer needs to know just how big the issue is and that you’re committed to reducing your food waste volumes. Prominent signage in food service areas, kitchens will be a good start here. Schools can make a point of involving students and parents in the process of eliminating waste. One British school took the step of placing bin liners filled with scrunched up waste paper in the middle of the assembly hall once a week; one bag to represent the equivalent volume of discard food waste for the previous week. Students can help conduct waste audits and periodic messages and invitations for suggestions and support from parents will encourage participation. Trays make it a bit too easy for people to carry much more than they’ll actually eat. If your school or workplace serves food and uses trays, consider switching to smaller trays or eliminating them altogether. If people know they can come back for a second helping, they’ll be less inclined to overload their plates, or expect larger first servings. This seems radical, but it works and it’s unlikely to be controversial. Living proof are the Szechuan hotpot eateries in Melbourne that offer generous fixed price “all you can eat” deals. To prevent the obvious risk of waste, they charge an additional fee to tables that have food left over at the end. No one seems to be put off by this policy, as the restaurants have big queues of eager customers at peak times. A system like this may call for a little imagination in making it work, but it’s definitely doable and could even be fun. Imagine school or workplace cafeterias that charge a deposit on plates and enforce a small forfeit for charity for anything that’s wasted. Schools could experiment with food waste monitors and introduce a personal or house point system to help enforce it. By observing and logging what kinds of food tend to get wasted and what don’t, you’ll be able to identify the best and worst options for your food waste reduction objectives. In general, fresh produce cooked just in time is more appetising and satisfying and therefore a better option than alternatives. It’s hard for parents to know what their children eat and what they throw away. One way to help them find out is to provide lists of most and least wasted pack lunch items. You can identify these foods by including pack lunch items as a separate stream in your waste audits. You can also survey pupils periodically to find out what they’re most likely to eat and discard. Most of us hate the idea of good food going to waste. But outside the home, cultural norms tend not support the practise of sharing our surpluses. What can you do if you arrive back at your office with a take away meal that’s clearly more than you can eat? How does a school pupil go about sharing unwanted food from a pack lunch? How can workmates share unwanted food with colleagues without having to make a tour of desks and offices? One practical solution is to set up food sharing spaces. For example, a “help yourself” shelf in the fridge, a dedicated table or area of a kitchen worktop for the same purposes. Spare containers, plates, utensils and blank labels will also help make the process more efficient, allowing people to take shared food home, if necessary. In schools, sharing tables that allow pupils to give away unwanted pack lunch items are an increasingly popular variation on the same theme. If you produce large quantities of food waste still fit for human consumption, a food collection agency may be able to take it off your hands. Two of the best known food collection agencies in Australia are OzHarvest(ozharvest.org) and Foodbank Australia(FoodBank.org.au). Both specialise in collecting surplus food from commercial outlets and redistributing it to front line charities that feed those in need. Another alternative is to donate food waste as animal feed. However, finding a local farm or animal welfare centre that can take your food waste may require some effort. Currently there is no national infrastructure that connects donors and recipients. Local council waste management or environmental departments may be able to help as they are all keen to divert as much food waste from landfill as possible. Food loss and wastage occurs at every stage of food’s journey from the farm to our forks and beyond. Inadequate storage and packaging is a prime cause in every case. Improved packaging at the supplier and retail level is something of a two edged sword. On the one hand it improves shelf life, but it also increases packaging waste, much of which is single use, non-degradable and harmful to the environment in other ways. In schools and workplaces however, larger fridges, freezers and reusable airtight containers can extend the shelf life of food by days with little or no packaging waste. A typical workplace system for keeping fridges free from mold filled containers is to have cleaners empty containers that have been left for more than a certain number of days. Changes in packaging can make a big difference in wastage from packed lunches too. For example, all of the following will likely go to waste unless consumed immediately and would benefit from reusable packaging. Sandwiches and other foods packed only in cling film can be hard to re-wrap. Tinned foods with pull rings, such as single serve tuna fish cans. Over the last 50 years food has become a lot more abundant and affordable in developed countries. Since then, many have come to frown on the once common practice of cooking up leftovers. In workplaces and schools, whether or not you use leftovers is a simple result of policy and planning decisions. Unless otherwise directed, kitchen staff may feel obliged to throw leftover food away. Many leftover foods can be turned into delicious soups and other creations. This reduces waste and saves money. One fun new trend emerging in schools is to have weekly juice, smoothie and shake making sessions, where pupils re-purpose uneaten and over ripe fruit. Although the number is likely to increase over the next few years, very few councils in Australia currently collect food waste as part of normal waste collection services. A few notable exceptions are: Adelaide City, Campeltown SA, Byron Shire NSW and Leichardt NSW. Lake Macquarie City Council also has plans to introduce food scrap collections in 2016. One of the challenges councils face with food waste collections is the expense and reorganisation involved in operating separate collections comparatively small volumes. Food waste amounts around half of current general / landfill waste volumes. 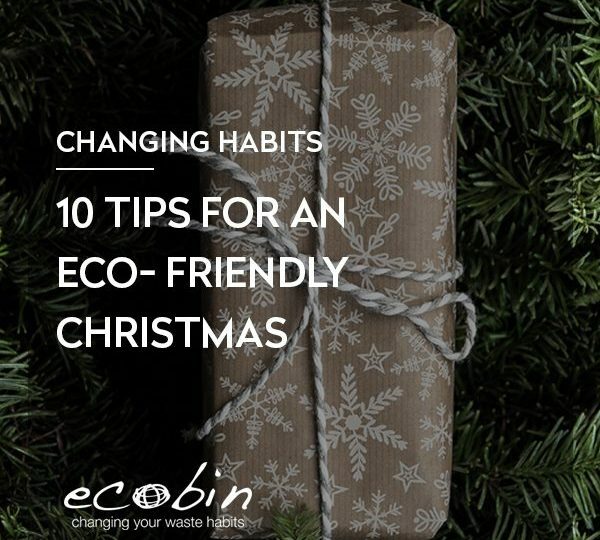 And whereas mixed recyclables and garden waste can be collected fortnightly, food waste would start to smell and attract pests if left that long untreated, especially during hot weather. Another major challenge is the lack of council composting facilities that can handle food waste without causing public health issues. But these barriers need not be permanent. They’re simply legacies of waste management practises that we’ve used for years. 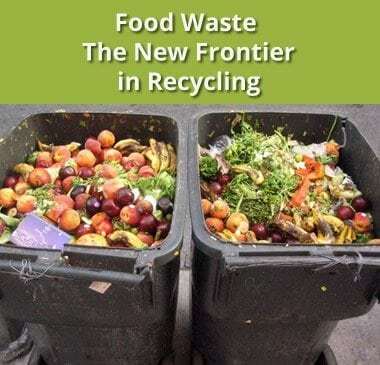 As voters, citizens and business representatives we can all help change things by writing to our councils and asking them to find a way to compost food waste as some councils are already managing to do. One way to manage collections is to do what Byron Shire Council is now doing: re-purpose green garden waste bins for a combined weekly food scrap and garden waste collection. At the same time, the frequency of general landfill collections can be reduced from weekly to fortnightly. Because around 50% of current general waste comprises food waste, most bin users would not experience capacity problems with this new arrangement. The only inconvenience would be a requirement to use compostable plastic bags for food scraps, which cost more than regular plastic bin liners. 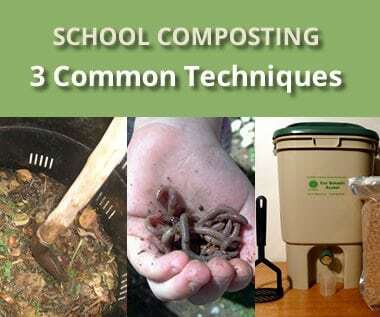 On site composting is another option we’ll be exploring in separate posts. 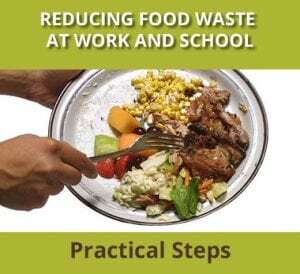 Another obvious option for businesses and schools is to use a commercial food waste collection service. Pick up and drop off services are available in all Australian cities and many smaller population centres. Details of food waste collection services are available from Planet Ark’s Business Recycling website.